My 2007-70.000km fiat punto didn't pass the control technique in Geneva yesterday because it was not clean apparently. I didn't wash it professionally or inside the engine, so after they told me that, I went straight to have it cleaned for 100chf but I couldn't get back to the service des autos on time. Now I'm wondering, I need to do about 150 km before Monday when I can come back to the control... Will it get dirty again??? If you end up driving through slush or mud then the underside will get dirty again. If that is the case just take it to a drive through with an underside program. 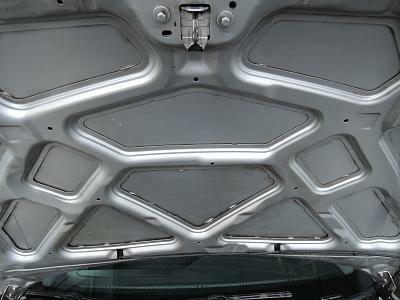 Basically the point of the underside and engine bay being clean is that it allows them to see any damage or wear marks indicating that something isn't in order, and also if the car has a significant leak. I was also looking for a service in Basel area to wash the motor and chassis before the MFK - was about to go to TCS for CHF140, only to discover that they do not work in the weekend. My first MFK after importing the vehicle is on Monday, so I was not left with too many options: either to go to http://www.dorfgarage-aesch.ch/ and wash myself or to go to Weil am Rhein and find something. So whoever needs to wash the motor, these guys (http://www.automobile-issler.de/waschen-pflege) do it for ~EUR50 - I'll go there Monday morning and will leave my feedback here afterwards. Stop and go in weil does a wash if you really feel the need. Tbh i have never bothered apart from waggling the nozzle underneath. I took the mfk and they found that the rear light was foggy with steam and needed replacement since probably broken + broken bulb on the rear licence plate light. I can change those myself since it's easy replacement. My question: can I change it myself or do I need a stamp from a garage to prove that I've had it done for the 2nd visit ? No need for a stamp. Even if you do your own brake job. As long as the work is performed suitably you're ok.
Have given a go-but-please-fix-asap with much worse things. Our car is up for an MFK in early Feb - just got the appointment card. 1) What is actually done/tested as part of it? I don't really fancy getting a garage to take the car for me, as any time we go near one a bill for many hundreds appears, for the simplest of tasks. My german is okish - what will I be expected to do? I would double-check that all of the lights work, that the 'Check Engine' light is off, that there are no visible leaks, wipers are in good shape, washer fluid is topped up, and that all of the bodywork/trim is secure. Beyond that, you should be fine. Do an emergency brake from c.40kms to hear/feel any possible issues. Check your lights and fittings - seems to be common trip up area, in my case the lights for the number plate need to have the glass cleaned from the inside ... no return trip, simply get it done ... so back to trusty Haynes Manual. The rest is simple MOT stuff from what I saw. This was a self-clean, not professional using both engine cleaner spray and a plant spray with car shampoo ,,,, wiping with kitchen cloth. 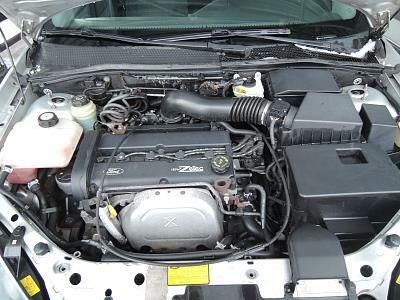 Sufficient for MFK, passed no problem, car 16yrs old and first engine clean in 2 yrs. Importing a Canadian car Canton of VD - advice? I will likely relocate from Montreal to VD for a new job assignment in May. I reached out to one of the companies advertising their import/registration services in CH (I won't name them here) and was quite disappointed with the way they handled the conversation; polite - but zero transparency - not willing to send an itemized quote for the service they claim are providing; the fee quoted = 3,800 CHF (they only pick up the car once it is in CH and already passed custom, to register it; the 3,800 doesn't even include the inspection or insurance fees). Car is in perfect condition, 08/2014, 18k km, all original and has all options of a Swiss Pack - nothing to change on it - except 2 fender-side lamps from orange (NA specs) to white (EU specs). I'm considering doing it myself. Can anyone recommend a company one had a positive experience with (I acknowledge is subjective) so I can get another quote and understand the fee structure? It is hard to believe paperwork is worth 3,200 CHF of time/effort (assuming cost of lamps/changing ~600 CHF). Especially if this is what one does for a living - so connections in the system. 1. In the list of required documents for import it is listed "An electronic certificate of liability insurance (valid up to 1 month)". Any advice on how to procure one from a CH insurer? 2. Driving with foreign plates: I researched the topic and couldn't find an official document stating one cannot drive temporary with non-EU plates; how is the car supposed to be moved from one office to the other to finish homologation/registration? Many thanks in advance, best! Re: Importing a Canadian car Canton of VD - advice? IMO this should be a separate thread. However! Cheapest way is to find a shipper that will transport without a container. But then the vehicle will also be vulnerable to vandalism. Another possibility is a shared container. Another way to save is to bring the car to the shipper's warehouse (most likely New York) and to pick it up at the port in France yourself. As for insurance, depends on how long you keep your Canadian plates and registration, which I believe is possible for up to one year. 3,200 CHF of time/effort (assuming cost of lamps/changing ~600 CHF). Especially if this is what one does for a living - so connections in the system. They assume it will take around 17 hours of work. Step 1) Find a insurance comnpany and an insurance that suits you. Step 2) Call your insuarance agent and quote the matricule number on costums form 13.20. What car is it? Just because you'll get free shipping one way doesn't mean it still will make financial or practical sense.